There’s a lot to love about Stefanie Zadravec’s The Electric Baby. Her writing is fresh and distinct, earthy and poetic, honest and compassionate. Each of the play’s eighteen scenes draw us in as compelling individual chapters and yet, taken together, they create a magically interwoven, hauntingly powerful, beautifully complete tale that rewards our faith in the power of story and our fundamental need for others. Zadravec’s play unfolds in unexpected and delightful ways. It implies, it suggests, it teases. It curves, it overlaps, it echoes, it dances, it floats. Like all good plays, it may confound expectations. And, like all good plays, it does not seek to falsely comfort us with simple answers to simple questions. Though a keenly intelligent play, it does not express itself through heady intellect or reason – rather, The Electric Babyoperates from intuition, from instinct, from heart. 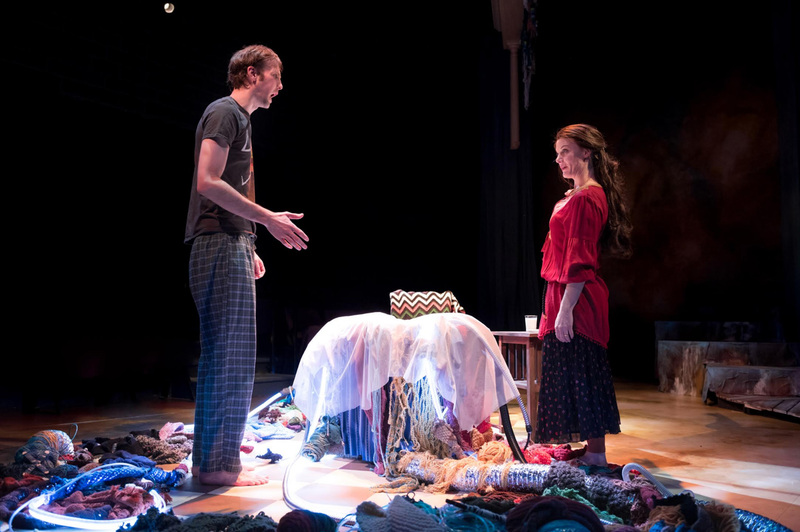 Throughout the course of the play, Zadravec’s wit, verve, and heroic soulfulness invites us to trust our own intuition and empathy as Babyworks its storytelling magic. Storytelling, folk tales, and folk lore have been an essential human impulse and basic human need for as long as we have existed. Stories let us draw meaning from existence. They tell us what it means to be human. They help us navigate the events of our lives. They are the expressions of our greatest fears and triumphs. When we hunger for truth and understanding, stories nourish us. When we are lost, they serve as a compass. When we seem alone in our struggles, they remind us that we’re not. We need stories the same way we need food, water, shelter, love. Stories tell us who we are: as individuals, yes, but most crucially as interconnected and interdependent beings – as kin – that identify through shared experience. A story that reminds us of our shared human experience, of our inevitable kinship, is always worth telling. In these days of bitter political and cultural rancor, of fracturing and fear, of growing separation and isolation, The Electric Babyoffers us a beautiful and desperately important reminder that only by opening ourselves to another can we possibly begin to heal. Collaborating on the creation of this production with the gifted and generous artists, craftspeople, technicians, staff, and leadership of the Arvada Center has been an extraordinary pleasure for me. On behalf of all of us, thanks for being here. I’m excited about working with some of Denver’s best actors and designers on this beautifully-written play. It requires and celebrates great ensemble acting and the simple, honest, transformative power of theatrical storytelling. Some contemporary plays read and feel and expect to operate as film or television does. 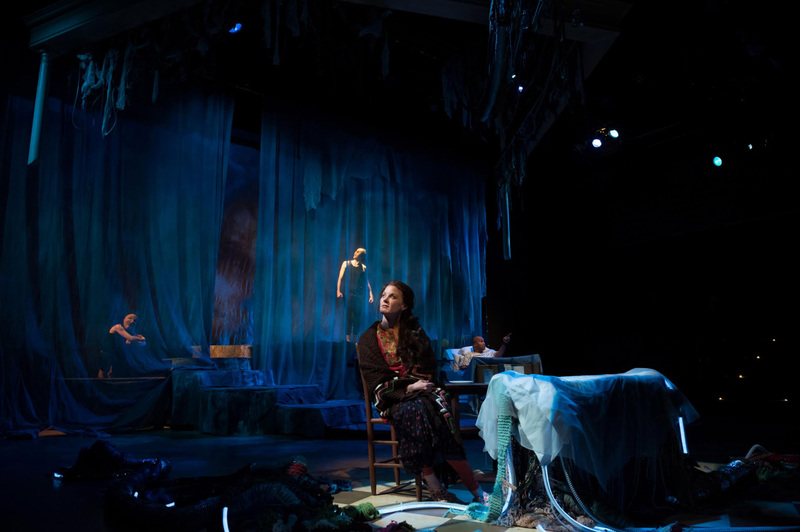 Trouble is, when we try to produce camera-centric stories on stage, it usually doesn’t work out so well – theatre’s storytelling language is distinctly different than film or television’s. The stage is the place for metaphor, for heightened language, for poetry, if you will, and The Electric Babywas built for it. Bottom line: I get to work with great collaborators on a great script at a company that is dedicated to the power and beauty of actor-driven storytelling, on a schedule that is uniquely generous in supporting a depth of process unlikely to be encountered elsewhere. I’m in heaven. Great acting within the intimacy of a black box space. Experiencing the power of this at the age of 15 propelled me into the theatre in the first place, and has sustained and driven me ever since. From the first time I read it and through each rehearsal, I’ve been deeply moved by The Electric Baby. It is not a heady or intellectually analytical play, it is very much an intuitive, heart-based play that works its magic in visceral ways. I’m eager to enjoy the play in live performance with our audiences – my hope is that we create a memorable experience of surprising, delightful, and emotionally powerful one-ness for our audiences with each and every show. My vision of this or any other play is based on what the playwright gives, or suggests, or implies to us, through the writing on the page, through the actions of the characters. The Electric Babyis all about storytelling – it’s built on the strong and comprehensive use of folk lore, folk tales, parable, and metaphor, yet is simultaneously rooted in the painful realities of its contemporary, fully-dimensional, all-too-human characters – characters that we initially meet in varying degrees of emotional isolation, yet who wind up unexpectedly interconnected in ways that invite resurrection. My goal is to communicate the soul of the play as clearly as possible by fully embracing its nature, its structure, and by encouraging our actors and designers to breathe into each moment of the text with full attention, empathy, emotional courage, and intuitive confidence. I’m not sure that having stories within a story make it more challenging to direct. All the stories related or revealed in the play are, like all human utterances, based in need. That is to say, each story is expressed in the pursuit of a specific character need – no one is “telling a story” just for the sake of doing so. There’s motivation, purpose, and intent behind it. In rehearsal, our basic assumption has to be that the story is the best and most effective way for the character to get what they need from another person in that particular moment and situation. We do this all the time in real life. A well-constructed play like The Electric Babyuses this fundamentally human impulse in ways that might be more heightened than may be expected of most moments in our everyday lives, but that’s what dramatic writing is supposed to do – distil and elevate the truth of our shared humanity in ways that, at their most potent, invite catharsis. This play has elements of magical realism – What are the important things to consider when directing a play with fantastic elements? That what we may call fantastic elements are in fact expressions of the play’s essential DNA. That these elements are the defining features of the play’s world, its logic, its power and truth. That they are as “real” as any other element that defines the specific world of the play, and almost always more “real” than anything our everyday reality could possibly evoke. Theatre is at its best when it unapologetically embraces metaphor as its way of telling us the truth. As long as we are consistent in how we employ and relate to a play’s essential conventions, no matter how fantastic, an audience will follow us anywhere. 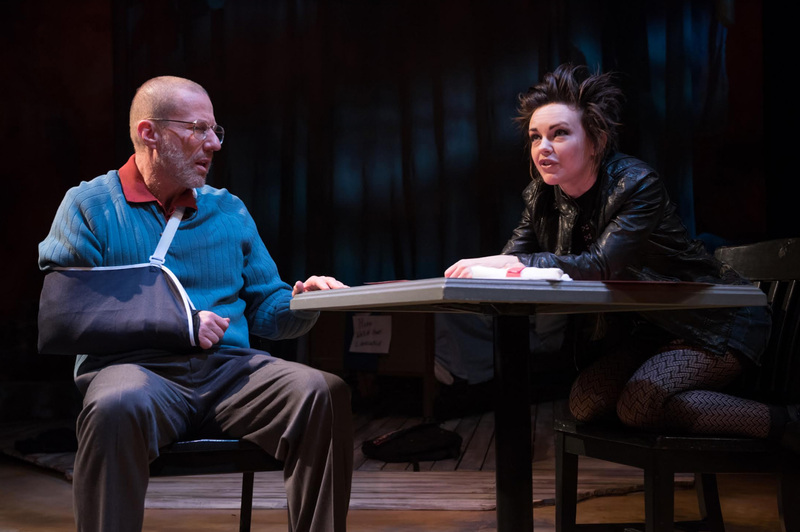 With The Electric Baby, the playwright isn’t concerned with explaininghow or why a baby that “glows like the moon” is the central presence, crossroads, and catalyst for the action of this hauntingly beautiful play. It just is. We are given it as fact. And as the play unfolds in delightful and unexpected ways, as we witness the struggles of its characters, as we are swept up in events that affect us and reward our faith in the power of story, The Electric Babyoffers us a beautiful and desperately important reminder that only by opening ourselves to another can we possibly begin to heal. If metaphor and magical realism can open the way to truth such as this, then all of us – artists and audience alike – have cause for celebration. Some say stories can be among one of the most powerful forms of the spoken word. 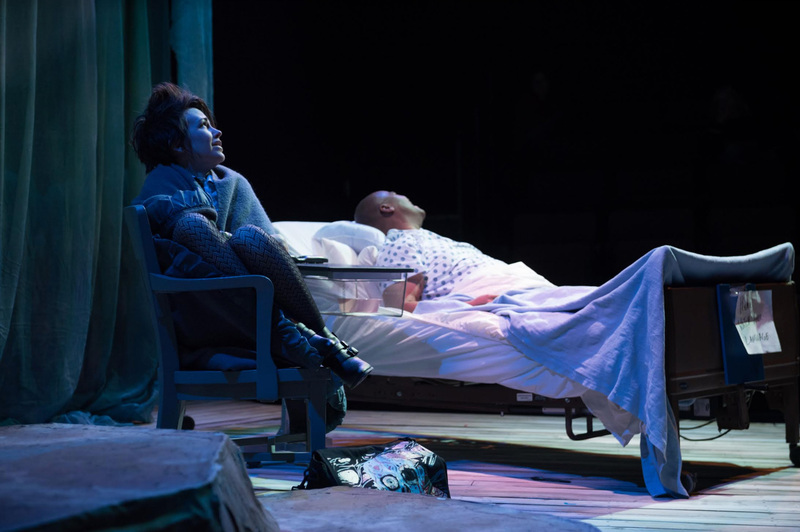 Its strength to enlighten, and inspire, is found deeply rooted in the next installment of the Arvada Center’s Black Box Repertory Season, The Electric Baby. …This show shines, it shines as brightly as the moon, with its engaging cast, and breath taking performances. …I lost myself within this production, I couldn’t help but fall into this world set against the industrial and smog filled city of Pittsburgh. …Director Rick Barbour and his team have done something truly incredible. This is a show that is an experience I will not be able to shake off for some time. 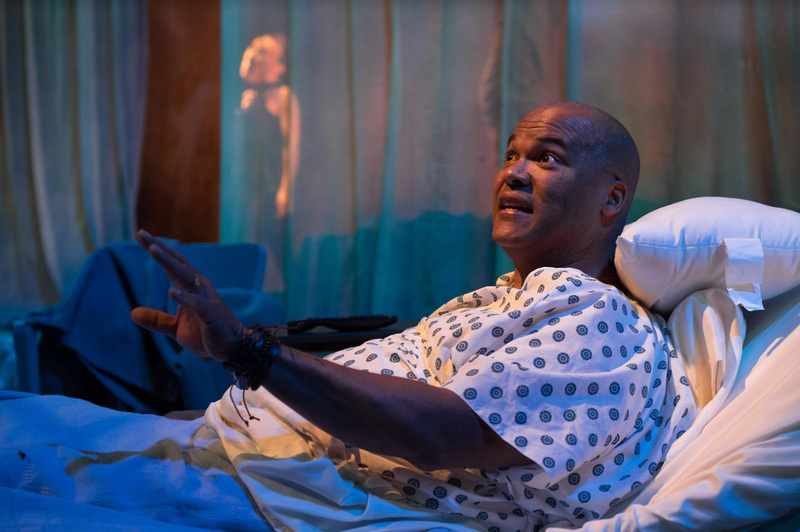 The Arvada Center’s production of The Electric Baby is a fresh story that all should witness, as it truly is a work of the mythical, ambitious, and trying nature that lies within the human experience. The structure of the play is a bit challenging to execute, but Director Rick Barbour pulls together a tightly woven production. From the moment the audience walks through the door of the theater and sees the stage, they are immediately thrust into another world. They are prompted to leave their thoughts and imaginative barriers behind and stretch the boundaries of reality. The Arvada Center for the Arts and Humanities does just that with their latest production of The Electric Baby. …Directed by Rick Barbour, “The Electric Baby” is a quick and engaging 100-minute ride that smoothly merges 18 scenes together into one story that is both entertaining and enjoyable.